Why is a Plan so Important in Everything we Do? Many prominent people have much to say about developing a plan and many have become successful by carrying out and implementing their plan. Would a builder build a house without first developing or drafting up the Blueprints? Without one, they would not know the dimensions, nor the location for each room, nor the materials they are to use. Would a truck driver begin a cross country journey without a GPS or a map? Would he plan out his stops and determine beforehand his DOT hours and break schedule? Would he not do a routine check of his vehicle to ensure it is in good running condition? Would a CEO of a large industrial company require his staff to develop a Fiscal plan for the upcoming year so they can operate efficiently? 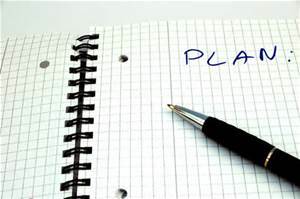 If plans are so important in our everyday lives, then why are we so gun shy with developing our own Cash Flow Plan? In a life time, most of us will allow over $1,000,000 to pass through our fingers. Yes, you read that correctly. Why would we not want to develop a plan for that amount of money? You see, with a well executed plan, much of that money can stay within your fingertips reach instead of building marble columns and floors for the Bank you borrowed from. A Cash Flow Plan will give you the freedom of choice and allow you to tell your money what you want it to do. Our WayPoints Financial Crew can help you develop a plan that will keep your money safe and working for you. Developing a plan with your money is being intentional with it. We work too many hours to let that hard earned money simply go wherever. Our job is to tell the money where to do.